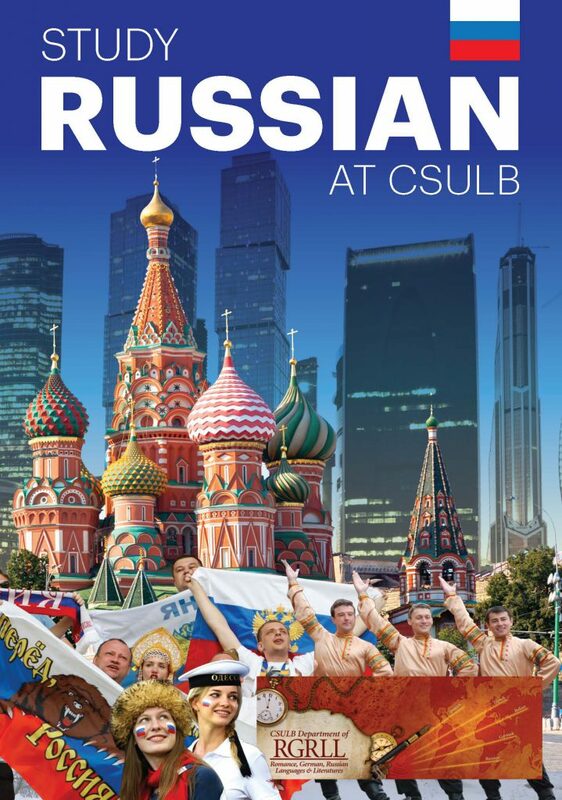 Welcome to the Russian Program at CSULB. Even though Russian is defined as one of the “lesser taught” foreign Languages in the United States, it is spoken by a nation that occupies eleven time zones and offers one of the most respected cultures in the world. Tolstoy, Dostoevsky, and Tchaikovsky are names that are familiar to most educated people. In the case of Tchaikovsky, it is difficult to believe that the Christmas season could exist without The Nutcracker Ballet or would the summer be the same without Fireworks and the 1812 Overture. While the Cold War is behind us and the Soviet Union no longer exists as America’s greatest adversary, there are still many legitimate reasons for studying Russian. Three waves of emigration from Russia have now been completed and Russian is already becoming an important heritage language for the descendents of these emigrants. It’s just a matter of time when the vast resources of Russia-especially oil and gas-will offer increased trade opportunities for Europe and the United States. If these are not sufficient reasons for studying Russian, then the beauty and richness of the language which have made it one of the great poetic languages of the world adds still a further impetus. Finally, like Latin, Russian imparts to students a sense of structure which can be carried over to an understanding of one’s native tongue. In short, studying Russian is an endeavor that enriches the college experience and remains part of a person’s intellectual life long after graduation.